It’s likely just a matter of months until 1st Lt. Frank Fazekas, a husband, father and U.S. Army Air Forces pilot, is laid to rest in Arlington National Cemetery. 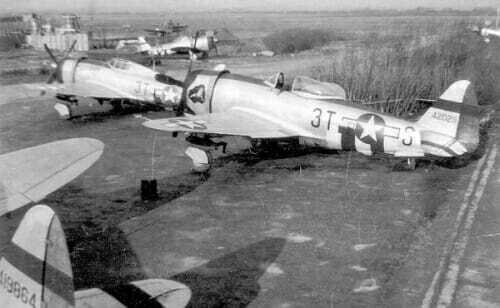 But it has been more than 70 years since Fazekas’ P-47 Thunderbolt crashed in northern France, just over a week before the D-Day invasion in 1944. For nearly all that time those facts were in question, and Fazekas was listed among the missing from World War II. That’s not the case anymore. With help from the University of Wisconsin–Madison’s Missing in Action (MIA) Recovery and Identification Project, the U.S. Department of Defense POW/MIA Accounting Agency (DPAA) has officially changed Fazekas’ status to accounted for. 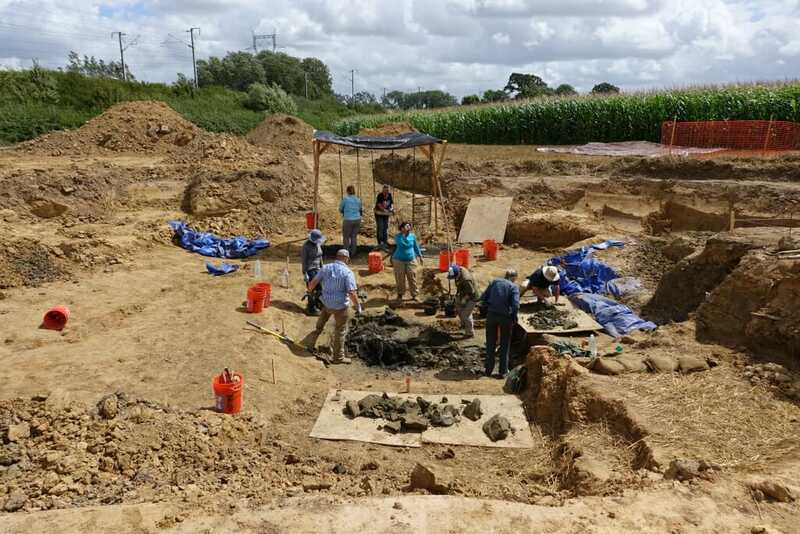 This summer was the second in which members of UW–Madison’s MIA Project spent weeks carefully excavating the crash site in a farm field near the French village of Buysscheure. 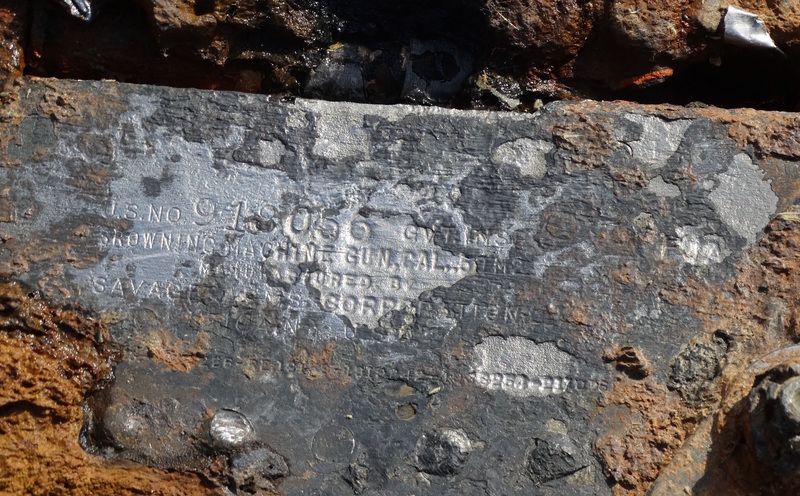 In 2016, they found the likely wreck location through historical detective work, and that excavation recovered the P-47’s heavy .50-caliber machine guns — with serial numbers that confirmed they’d found the right plane — and possible human remains. 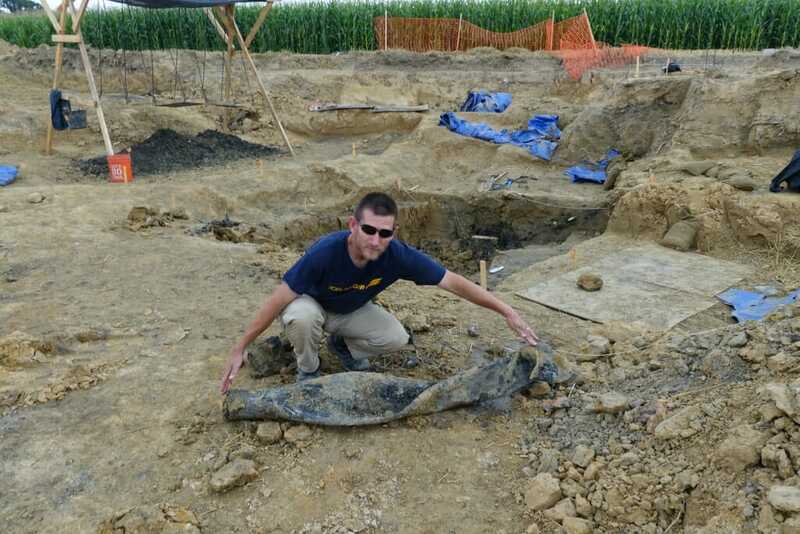 The Wisconsin crew worked closely with DPAA lead forensic anthropologist William Belcher, Belgian interpreter and WWI and WWII historian Danielle Roubroeks, and the pilot’s son (also named Frank Fazekas), who made the trip to France to shovel and sift with the excavators. 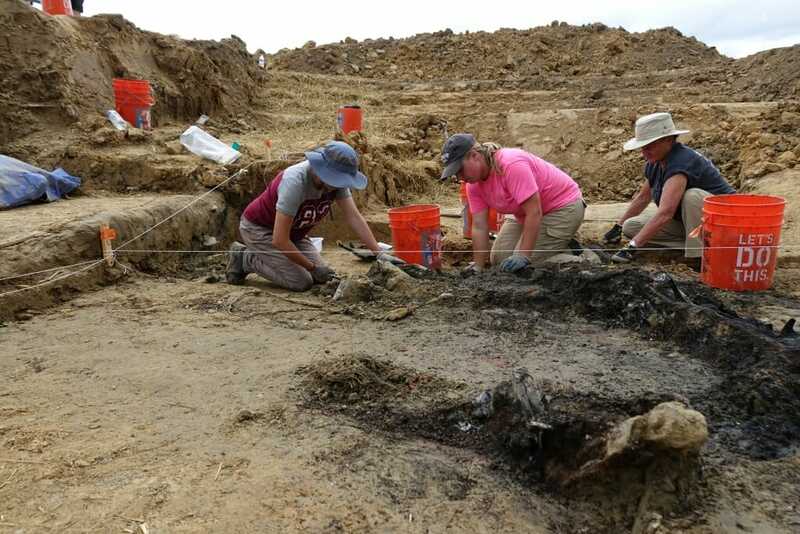 In July and August of 2017, the group — at the request of DPAA, and with continued support from Belcher and Roubroeks — returned to the French field, clearing hay from the crash site and reopening the excavation. Archaeologist and forensic anthropologist Leslie Eisenberg, an honorary fellow in the UW–Madison anthropology department, guided Konsitzke, Wubben, anthropology faculty and students, and DPAA representatives in a careful excavation. 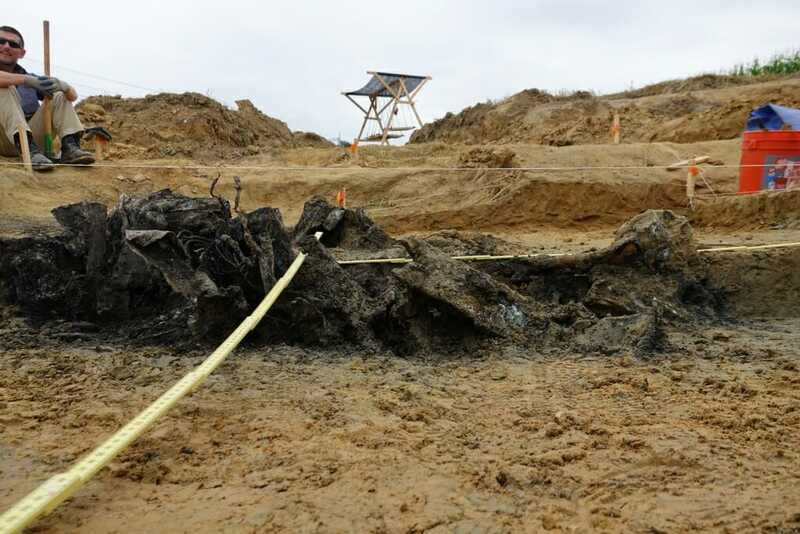 Using a backhoe and filling and painstakingly screening buckets of dirt, they dug through more than five meters of soil and clay to reach the base of the crash site. In the end, Eisenberg says, the excavation yielded the remains that were turned over to the local French police, who maintained an evidentiary chain of custody until U.S. military personnel could take possession of the remains and return them to the United States. “Analysis of those remains was conducted by Defense Department experts in the United States, and that’s how they make a DNA match and definitively determine it was Lt. Fazekas who died in his plane,” Eisenberg says. The successful collaboration between UW–Madison and the military in 2016 and 2017 was one of the first of its kind. “As a pilot project, it helped pave the way for additional partnerships and other novel arrangements between DPAA and academic institutions like ours,” Konsitzke says. The Department of Defense has since entered into similar arrangements with East Carolina University, the University of New Orleans and the University of Maryland, and UW–Madison’s MIA Project is ready to take on another case. 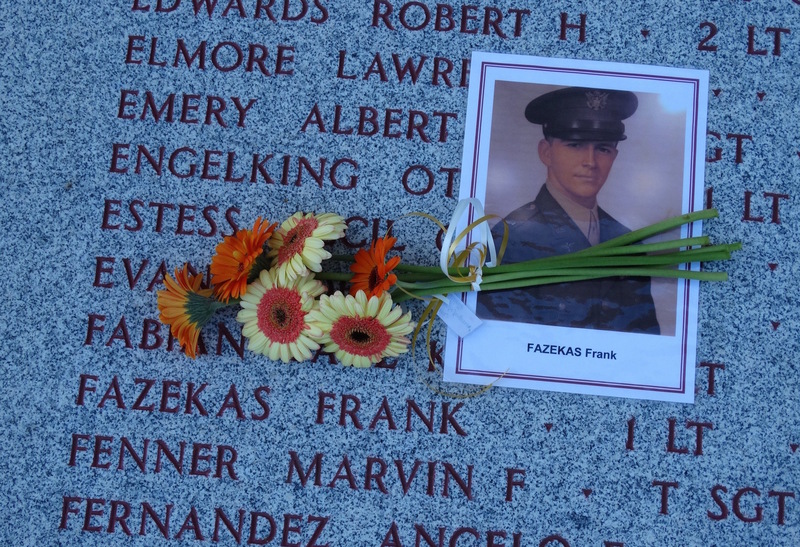 Fazekas’ name remains on the wall of the missing at the Ardennes American Cemetery in Belgium, but a rosette will be placed next to it to show he has been found.